Anna is a lover of all things movement and outdoor related and so in 2016 she moved from Chicago to Portland to pursue her dreams of spending more time getting outside. Weekend trail getaways in the Midwest ignited a fire in her to integrate this not only into her weekend activities, but into her daily life. Upon her journey to the PNW, she found herself at a Team Red Lizard run on her 2nd day in Portland. Since that time, she has found great joy in participating with the group and is looking forward to many more years to come! 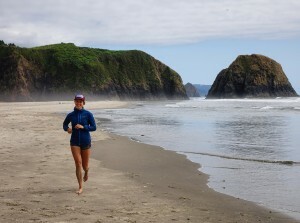 As a Board-Certified Clinical Specialist in Orthopaedic Physical Therapy at Bridgetown Physical Therapy in downtown Portland, Anna has a particular interest in the treatment of runners, as well as in health and wellness promotion. As a Road Runner Club of America (RRCA) running coach, she utilizes her knowledge from her exercise science and PT background to help individuals achieve their goals while staying injury free! Anna is excited to apply her skill set and background in the sport of running to the Team Red Lizard board.